This month, a 30-day action campaign was launched demanding the release of Russell ‘Maroon’ Shoatz from solitary confinement, where he has been held for over 23 consecutive years, and 28 of the last 30 years, in Pennsylvania prisons. This month, a 30-day action campaign was launched demanding the release of Russell ‘Maroon’ Shoatz from solitary confinement, where he has been held for over 23 consecutive years, and 28 of the last 30 years, in Pennsylvania prisons. On April 8, when the campaign began, Maroon’s legal team sent a letter to the Pennsylvania Department of Corrections (PA DOC), demanding his release from solitary confinement and promising litigation against the PA DOC if he is not transferred to general population by May 8. 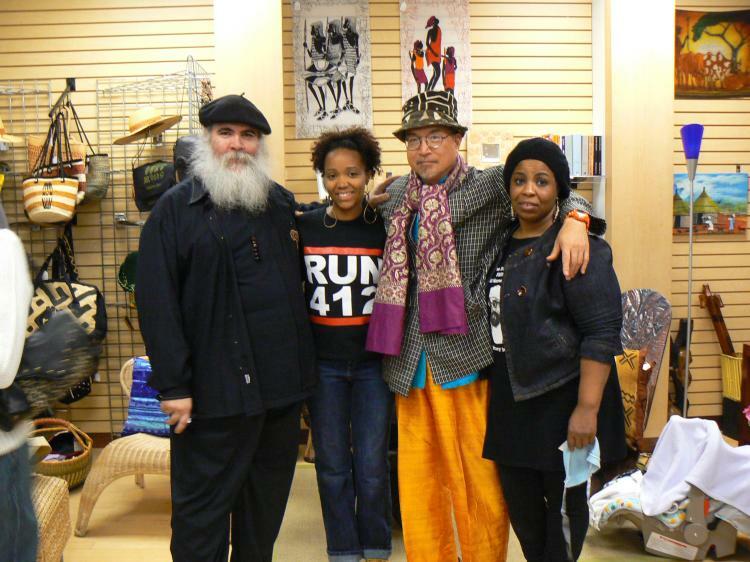 Featured below is our interview with Theresa Shoatz and Matt Meyer. Theresa Shoatz is the daughter of Russell ‘Maroon’ Shoatz. Theresa has worked for decades as a public advocate for her father and through the Human Rights Coalition, she fights for all prisoners in Pennsylvania and beyond. 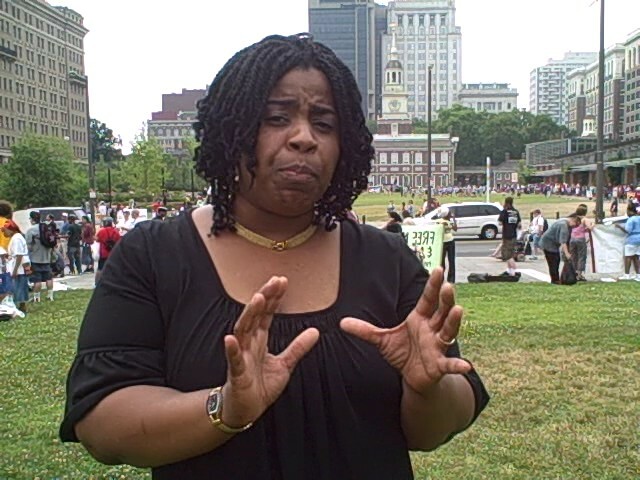 You can watch a video interview with Theresa Shoatz, released by Solitary Watch in 2011. This month, Theresa has been traveling around the US as part of a book tour promoting Maroon the Implacable, and this week she is in the SF Bay Area. Matt Meyer, a native New York City-based educator, activist, and author, is the War Resisters International Africa Support Network Coordinator, and a United Nations/ECOSOC representative of the International Peace Research Association. Now the co-coordinator of the Campaign to Free Russell Maroon Shoatz, Meyer also has a long history in solidarity with the people of Puerto Rico. 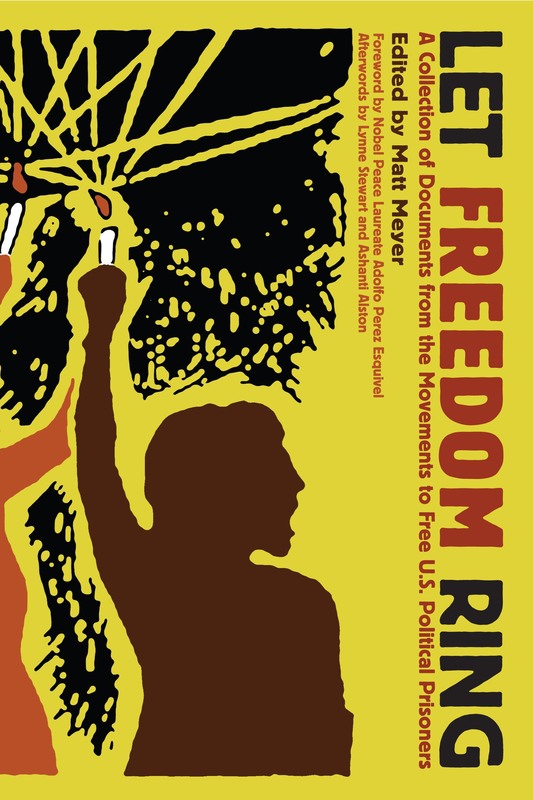 In 2009, Meyer edited Let Freedom Ring: A Collection of Documents from the Movements to Free U.S. Political Prisoners (PM Press), and in 2012, co-edited another book entitled, We Have Not Been Moved: Resisting Racism and Militarism in 21st Century America (PM Press). Please look out for part two our report on the 30-day action campaign, which will further examine the legality of Maroon’s placement in solitary confinement and take a closer look at his recently published book, Maroon the Implacable. In the meantime, you can stay updated on the campaign for his release from solitary here. Angola 3 News: Political prisoners are often seen as symbolic of what is wrong with the US government, but we don’t usually hear about the actual person and how their imprisonment has affected their families. As fellow Pennsylvania political prisoner Mumia Abu-Jamal has commented, “I am a man, not a symbol.” To begin our interview, can you please describe your father, Maroon, for us, so we can better understand who he is as a person? 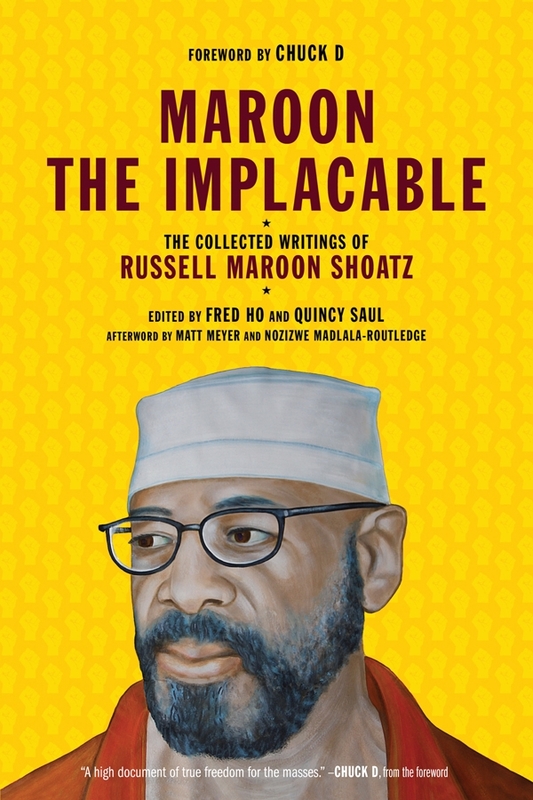 Theresa Shoatz: Honestly, I can only define part of the man that Maroon is because I only know the man from which I engage with from behind the bullet proof glass. He is the man who pleads with me to save his life when he is not getting proper medical attention, and to fight for him when his living conditions are unbearable and his grievances aren't addressed. However, there's so much more to Maroon. He loves his people. It’s what's keeps him going. His wisdom protects our family. Even while in solitary confinement today, he is still putting others first by denying any support for his freedom until his comrades are freed throughout the United States. Maroon is extremely concerned with issues affecting single mothers and their children. He is drafting ways to not only put food on the table, but also to grow and prepare meals for the community. He's the man. Even when he's in no position to help, he connects to the outside with his attempts to heal the Black communities. A3N: How old were you when he was first forced underground? TS: I was about nine years of age when my dad was forced underground. A3N: What do you remember about Maroon from your early childhood? TS: My sister and I lived with him until I was five years old. I remember that back when my sister and I were only three and four years old, there was a black board hanging in the living room. Every morning, Daddy used that black board to teach us political education alongside physical education classes. Man, I love and miss those classes. Daddy was cultivating young minds. With anything he did, I was right behind him. He was preparing us to be future leaders, but this preparation was halted when at the age five we were separated, and I stopped living with him. A3N: What has your relationship with Maroon has been like as you’ve grown older? Ever since the age of nine, I have honored and admired my Dad. Today, he is still my hero. Maroon is a leader, educator, and father to many young black males behind bars. At his core, he is about peace and love for his people. As Maroon approaches 70 years of age, he's a grandfather of ten. Since I can remember, he has tried to educate his biological children from behind bars. I can remember a prison contact visit from some thirty years ago, when I sat on my dad's lap, comparing our physical similarities, and him using the opportunity to update me on present-day issues. A3N: How did that visit influence you? TS: Wow! That was so powerful. It hit me like a ton of bricks. Ever since that visit with Maroon, I’ve been motivated by the love of my people to do everything in my power to help us move forward, including my work with the Human Rights Coalition (HRC) in Philadelphia, and the HRC FedUp! chapter in Pittsburgh, which Maroon started from behind bars. I am also the Director of a free after-school program for youth with a loved one in prison. Last year, I became a foster parent and I have since fostered eight kids in my home, caring for two seventeen-year-old teenagers, a thirteen-year-old, a three-month-old, a two-year-old, a six-year-old, a four-day-old, and a pregnant teen. This is all for the love of my people. Some think I’m crazy, but they're crazier than I am when they pretend not to see how so many youth in our community are lost and headed towards the prison system. If they pretend not to see what the system is doing to our youth, shame on them. I love my people. I'm just like my daddy Maroon--it’s in my blood. A3N: A key feature of your father’s being held in solitary confinement at, until recently, SCI Greene, a supermax prison, is to not allow contact visits with family and friends. If Maroon is transferred to general population, he will then be able to have contact visits once again. How long has it been since you had a contact visit with him? TS: It’s been almost thirty years since I've been able to touch my father. A3N: How has this aspect of his imprisonment affected you personally? TS: It is extremely painful and mentally challenging. I am still that little girl who craves hugs, and reassurance from her daddy. A3N: How has the policy of no contacted visits affected the rest of your family? TS: The no-contact visits cause stress, leading to emotional and physical breakdowns. The fear this creates often paralyzes family members, and is so debilitating that it prevents some from visiting him. A3N: What is a no-contact visit with him like? To reach the solitary no-contact visiting room, there’s a tunnel spanning two city blocks, and a barbed-wired fence surrounds this ‘prison inside of a prison.’ The visiting room is cold and 99 percent of the time there are no other family members visiting prisoners. It is mind blowing to think of this 69-year-old man with both ankles shackled, both wrists shackled, all attached by a chained waist belt. This contraption forces him to walk hunched over, and appear older than his real age. A3N: To underscore the importance of the new campaign to have Maroon transferred to general population, how significant will it be, if he’s transferred, to have contact visits with him after all these years? TS: After so many years of no-contact visits, I could really use some contact with my daddy. It’s well overdue. Contact visits would be nourishing. My soul is constantly in an uproar and the pain runs deep, yet I continue straight ahead, keeping my eye on freedom. Outside of my daddy, there’s no man on this earth who could turn this pain around. The remedy is an end to all control units, the present day prison system, and freedom for Maroon and all my extended family: the political prisoners who stood on the front lines for our freedom. A3N: Thank you, Theresa, for sharing such a personal story with us. Building on the quote above, why is it that you are going beyond the immediate call for Maroon’s transfer to general population, and also calling for his release from prison? Matt Meyer: For me, the position for peace activists working in the context of restorative justice is clear: there can be no reconciliation without release. Nozizwe and I also say in our afterword that “we must face the truth about the uprisings of forty years ago.” As you know, Nozizwe herself was a chief negotiator in the process which ended legal apartheid in South Africa, and the two of us respect the work of Archbishop Desmond Tutu, whose commitment to truth and reconciliation has always been coupled with a commitment to ‘heal’ by working for people’s power and the rights of the most oppressed. Here in the US, we must face the truth that the legacy of the 1960s and 1970s remain an open wound so long as key leaders such as Maroon are invisible to the majority of us, tortured in dungeons for decades upon decades. Even one day of the type of treatment Maroon has faced would be wrong in any human rights framework that is not centered on simplistic revenge, hatred, and a cycle of murder and violence. The US criminal justice system, filled with the injustices of centuries passed--based as it is on land theft, slavery, and greed--cannot be understood as ‘democratic’ in any sense of that word so long as Maroon remains behind bars. Aside from many questions which could be raised about the political context of the initial charges and court case against him, the length and nature of his sentence and the way it has been carried out signal grave injustices which make a mockery of any attempt to characterize US jurisprudence as fair or color-blind. A3N: What is the significance of Maroon’s identification of himself as a ‘prisoner of war’ (POW)? How is this different than simply identifying as a political prisoner? MM: The United Nations outlines the specific legal definition of the prisoner of war position, definitions which are generally accepted by most participating nation-states, including the US. This definition is rooted in history which goes back as far as 1660, when international military protocol accepted that anyone who is held in custody by an enemy power during or immediately after an armed conflict, whether combatant or non-combatant, should be classified as a POW. After World War Two, with the Geneva Convention of 1949 to which the US is a signatory, conditions were clearly outlined which require that POWs be treated humanely. For those who lived through the tremendous upsurge of the Black liberation movement of the late 1960s, the position underscores a clear analysis of the relationship between “the Black nation” and the US empire. That relationship, simply put, is one AT WAR. Though the battles may appear to many as covert, and the military powers deeply imbalanced, the position of extreme conflict is nonetheless expressed. This includes the position taken by some people of African descent (i.e., “Black folk, New Afrikans, African-Americans, etc.) that the political status of US citizenship was never chosen by them, but rather, was imposed. In any case, by using the international legal term ‘prisoner of war,’ the question of humane treatment and appropriate jurisdiction in a case of extreme conflict must be squarely faced. A3N: You edited the book Let Freedom Ring: A Collection of Documents from the Movements to Free U.S. 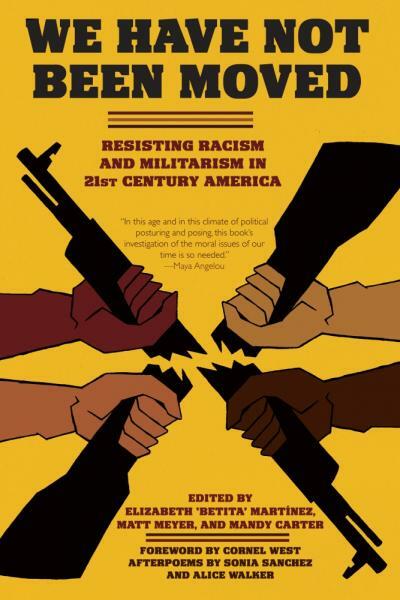 Political Prisoners and co-edited We Have Not Been Moved: Resisting Racism and Militarism in 21st Century America. In your opinion how do popular movements resisting US military aggression abroad relate to movements at home seeking the release of COINTELPRO-era political prisoners & opposing the rise of the police state and mass imprisonment since COINTELPRO’s official end in the 1970s? MM: We must connect the dots between the military-industrial-complex and the prison- industrial-complex. We must begin with the fact that, on the one hand, the military has for too many become the job of choice in an era of vast economic depression and crisis. On the other hand, the ever-increasing rates of incarceration--where now there are more men of African descent behind bars than there were enslaved in the years leading up to the Civil War--suggest that cheap labor is being replaced by forced free labor as authorized by the 13th Amendment, which abolished slavery, except for prisoners. We must do more than understand that an empire in decline requires ever-cheaper means of producing whatever it can still produce and an ever-stretched military to police its dwindling holdings. We must act, in ways faithful to the vision of Dr. Martin Luther King, Jr., who called for a “true revolution” in the American practices of racism, militarism, and materialism. We must be moved to go beyond the false dichotomies of race, and the false splits of tactical difference which seek to make Martin and Malcolm into irreconcilable opposites. We must build coalitions and united fronts against empire, ones which understand that the many US political prisoners represent not only acts of repression from past generations but reminders to current and future movements that we must never stray beyond the confines of polite protest, OR ELSE. Freeing all US political prisoners is both a just and basic human rights demand, but it is also a necessary step in building future movements which can act with militancy, creativity, soul, and a free spirit which we need to envision the ‘beloved communities’ which will build just and peaceful tomorrows. A3N: How does Maroon’s case fit into this? What is the broader political significance of Maroon’s imprisonment and his contributions to radical political movements since? MM: One should not be reading this interview for the answer to that question. Maroon’s broader political significance, and his contributions to current movements, is well revealed through a careful reading of the essential new essay collection Maroon the Implacable. His writings on his own reflections on the Black Panthers, on the nature of sexism and matriarchy, on the environment and the need for eco-socialism, on the Occupy movement and how to build effective new movements, go far beyond the current discourse which we find in blogs and what passes for the left press. It is a challenging course in building for lasting social change. --Angola 3 News is a project of the International Coalition to Free the Angola 3. Our website is http://www.angola3news.com where we provide the latest news about the Angola 3. We are also creating our own media projects, which spotlight the issues central to the story of the Angola 3, like racism, repression, prisons, human rights, solitary confinement as torture, and more.